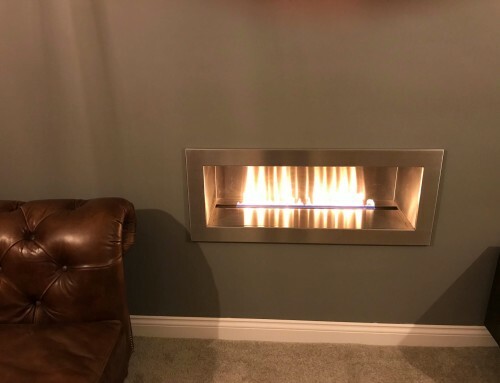 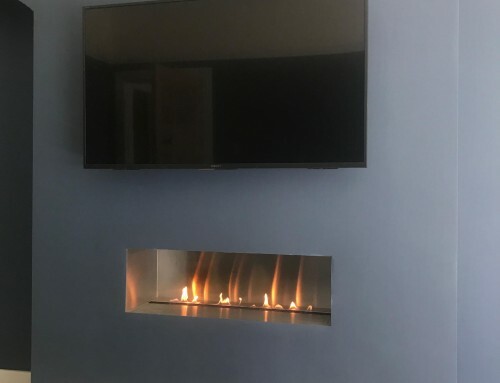 The ultimate Hole in the Wall fireplace with CVO ribbon gas burner within a highly polished enclosure with a 1.35 metre wide fascia made from natural Portuguese limestone (20mm thick). 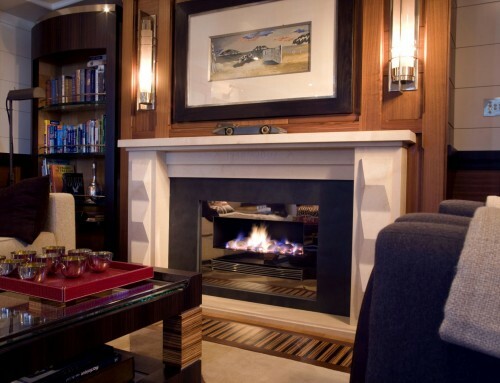 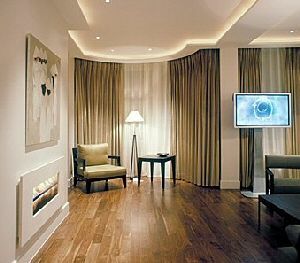 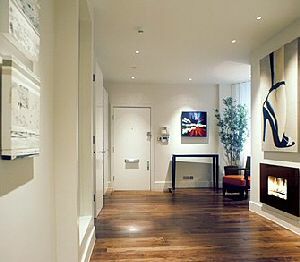 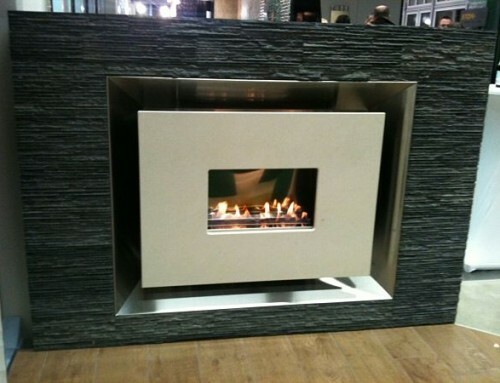 Using CVO Award Winning Flueless Fire Technology with a large dramatic flame and highly polished interior. 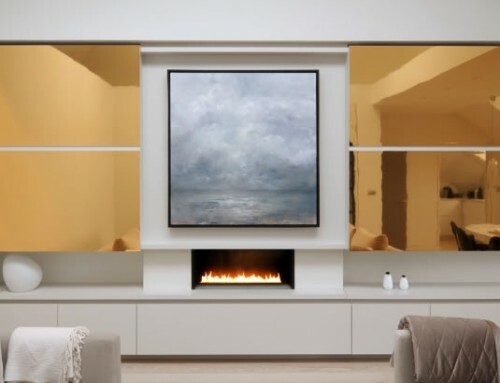 There is no glass screen to obscure the flame. 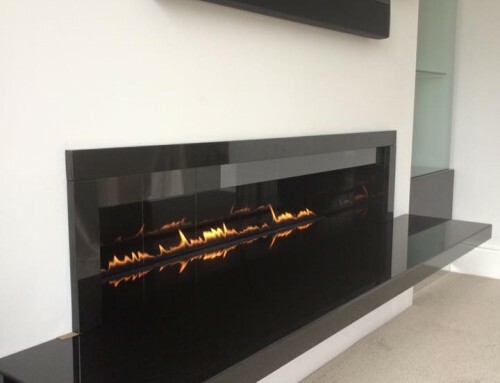 The fascia is made from 20mm African Black Granite and is a dramatic statement of contemporary sleek design.